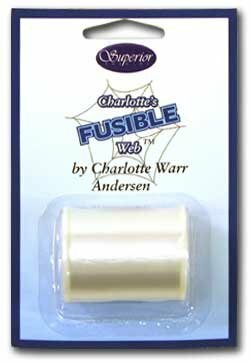 Charlotte's Fusible Web Tex 30 Melting Nylon thread. 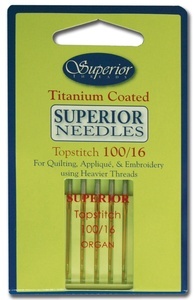 Designed for temporary appliqué with award-winning quilter Charlotte Warr Andersen, Charlotte’s Fusible Web is a Tex 30 nylon thread which melts when exposed to temperatures ≥ 250° F. Developed for labor-saving sewing, this fusible nylon thread will melt and create a bond between two fabrics. Click on the 'Learn More About' link below to watch videos and read detailed instructions.